Sensex and Nifty rose for third day in a row paced by gains in Tata Motors, Tata Consultancy Services, Kotak Mahindra Bank,. Tata Motors was top gainer in the Nifty 50 basket of shares. Indian equity benchmarks rose for third day in a row paced by gains in Tata Motors, Tata Consultancy Services, Kotak Mahindra Bank, HDFC Bank and Tata Steel. The S&P BSE Sensex and NSE Nifty 50 Indexes opened higher and traded on a firm note in today's trade as information technology, metal, auto and realty shares witnessed buying interest. The 50-share NSE Nifty Index briefly surpassed its psychologically important level of 11,700 and the S&P BSE Sensex climbed over 200 points. The Sensex ended 139 points or 0.36 per cent higher at 38,906 and the NSE Nifty 50 Index rose 0.4 per cent or 47 points to end at 11,690. Seventeen of 19 sector gauges compiled by BSE ended higher led by the S&P BSE Metal Index's 2.2 per cent gain. Realty, Auto, Basic Materials, IT and Industrial Indexes also rose between 0.8 and 1.4 per cent each. On the flipside, S&P BSE Oil & Gas Index was top loser, down 0.4 per cent. Mid- and small-cap indexes also witnessed buying interest as the S&P BSE MidCap Index rose 0.5 per cent and S&P BSE SmallCap Index advanced 0.6 per cent. Tata Consultancy Services was among the top gainers in the Nifty 50 basket of shares. 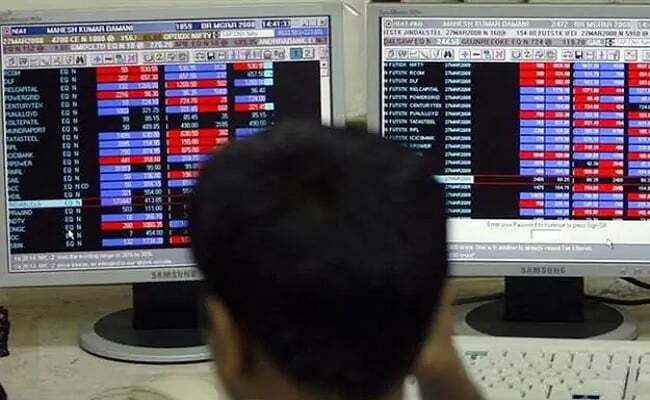 The stock rose 4.89 per cent to Rs 2,113 after it reported a net profit of Rs 8,126 crore for the quarter ended March 31, 2019. Tata Motors, Coal India, Tata Steel, Kotak Mahindra Bank, Hero MotoCorp, Cipla, Wipro and JSW Steel were also among the gainers. On the other hand, Infosys was top loser, the stock fell 2.61 per cent to Rs 728.20 as it failed to impress investors with its operating margin forecast for fiscal 2020. Bharti Infratel, Sun Pharma, GAIL, Yes Bank, Indian Oil, GAIL India, ONGC and Bharat Petroleum were also among the laggards. The overall market breadth was positive as 1,453 shares ended higher while 1,133 closed lower on the BSE.